Attention Georgetown and surrounding area residents, we are holding the classroom portion at St. Johns Prep. All students are welcome. You do not need to be a St. Johns Prep student to attend. Please visit the Drivers Ed Classes St. John's Prep in Danvers page for the classroom schedule. In addition, we will continue to offer driving lessons in Georgetown and the surrounding areas. The fee for the classroom portion is $250. The "ON THE ROAD" portion is $540 (12 lessons @ $45 each lesson = $540). 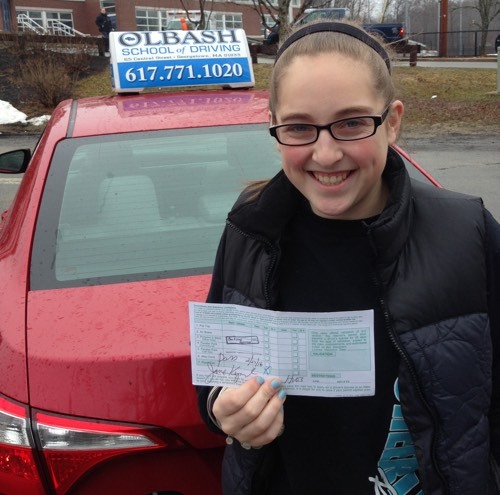 The RMV requires 18 hours on the road &dash; 12 hours of driving, and 6 hours of observing another student driving. The time is usually divided into 12 driving lessons. Driving lessons are are typically an hour and a half long &dash; students drive for 1 hour and watch another student for a half hour. We recommend that students text us to set up their lessons, and we do our best to accommodate their request.